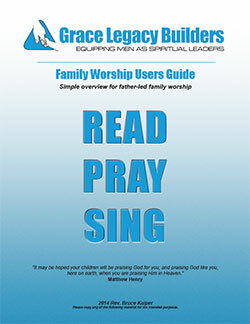 This series of Family Worships Study Guides are intended to guide you as you lead your family in worship. These guides include study questions, discussion questions, memory work and a guide holding family worship. If you are having family worship for the first time, we suggest our Family Worship Primer. We have created a useful guide to help you in learning the method for family worship and getting the most out of our Family Worship Primer and Family Worship Study Guides. Click on image to download the PDF User Guide.